came to know about this little known Himalayan village of East Sikkim from a friend of mine, who visited this place last year. 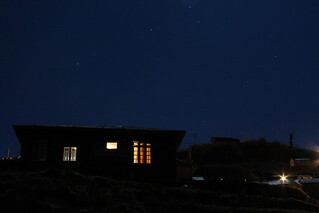 This was a popular night stay for traders before crossing historical Jelep La – the old silk route to Lasha, Tibet. For last few years Zuluk (altitude: 10,000 ft) is once again getting popular as an offbeat tourist destination. The place is well-connected by road and can be very easily reached from Gangtok, Siliguri or Baghdogra. For people like me staying at Kolkata or nearby, it can be a good weekend destination. Or this can also be part of your tour plan to North or East Sikkim. There are no hotels in Zuluk, but home stay cottages are available and it is worth staying very close to the simple and kind-hearted villagers. The best way to visit this place is to contact some local villager who can arrange for a stay and help you to plan your travel to nearby places. The person I contacted was Gopal Pradhan, who arranged for the stay and pick up and drop to NJP railway station.